On Friday May 8th, Laude San Pedro International College will be celebrating its Creative and Performing Arts with an invitation to all parents and students to attend a Laude Arts Day. 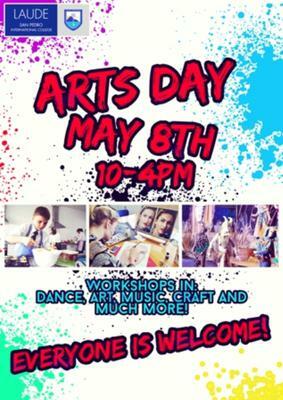 There will be a series of workshops covering all aspects of the arts for parents and students to join in. From a hip hop dance lesson, to stage make-up to cake decorating we will have a fun day for the whole school to participate.